Today is RELEASE DAY for the new NOVEMBER Stamps at C.C. Designs. 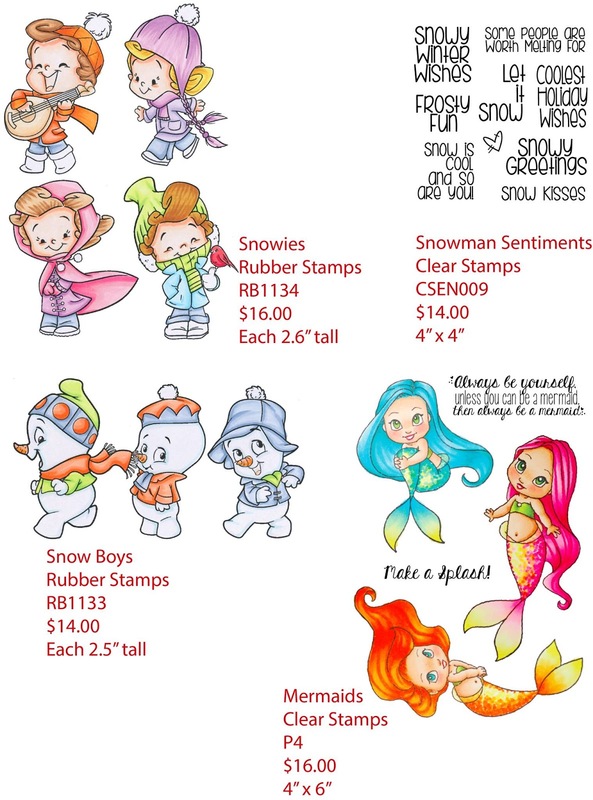 As you have seen from our Preview Days, these new stamps revolve around those chilly, wintry days….except for those last minute mermaids that made their way into this release! 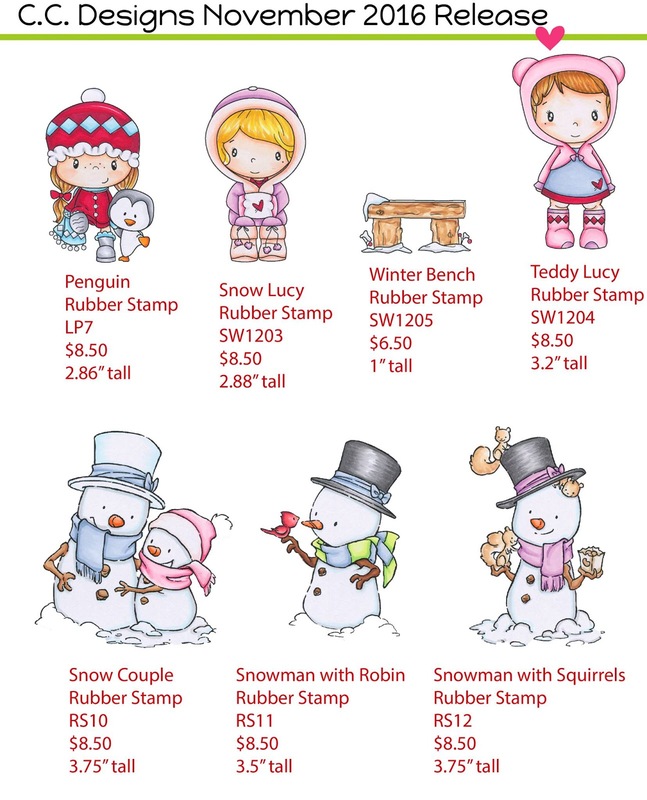 And, don’t forget about the 12 new DOVEART stamps that were released at the end of October. You have a lot of amazing choices this month for your stamping needs. or this card I coloured up the new Penguin image with my Copic markers and die cut her out with the tag layering dies. I kept the card rather clean and simple with some pattern paper layers and a bit of ribbon! Make sure you go to the C.C. Designs store and pick this release up! *This Blog Hop will end on Sunday, NOVEMBER 6th at NOON, 12pm EST. Winners will be announced the following week. Don’t forget to also comment on each CCD PREVIEW DAY Post for a chance at winning a $15 CCD Store Gift Certificate, and answer the Facebook question for a chance at a free stamp. sweet card! adorable stamp and pretty layering! gorgeous job ! love the colors ! I love the layout of your card and this adorable new image. These are ADORABLE. I love your colouring too, it makes the image so pretty. They are so sweet looking marching along. Love your coloring, layout and papers. Wonderful project, love your colour choices! Such a cute image! love your coloring! Such a cute image of them walking together!! Love the colors you used o her! You had me at the wonderful layers of plaid, but the coloring is awesome. So cute! Love the plaid!